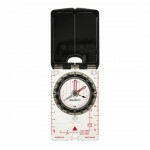 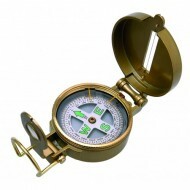 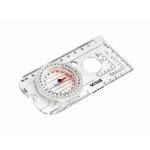 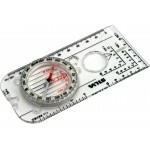 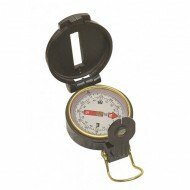 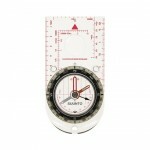 Derived from the classic army marching compass, with liquid damped cards and luminous lettering for night use.Housed in a tough alloy case with map scale reader down one side.Length 8cm.. 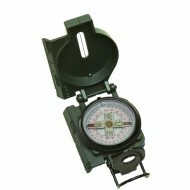 Derived from the classic army marching compass, with liquid damped cards and luminous lettering for night use.This is essentially a simplified version of the classic army marching compass, retaining most of the practicality but offered at an economic price. 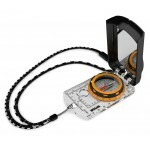 It has a liquid-filled unit, with a lumino..